Drivethrurpg.com are running a sale on all sci-fi products for the entire month of May. Two of our best-sellers, Distant Vistas and The GM’s Planet-Building Handbook are included in this sale, which offers you the chance to buy at a 15% discount. Just click on the images below to go to the product pages (where you can see previews and read reviews). Our GM resource Anyburg and the Lands Thereabout has just reached Silver Seller status at driverthrurpg! Which makes me very happy. Anyburg allows you to design your own believable fantasy town or city from scratch, based on medieval English data. No need now to guess how big a city of 10,000 people should be, or work out how many houses it will have, or how many inns, etc… Anyburg does all that for you! Historical examples are given, plus there’s a full multi-stage simulation showing how the guidelines can be used to design a fantasy city that changes over time. You can check out Anyburg by clicking on the image below. Why is this a big deal I hear you ask? Well, because drivethrurpg/RPGnow only allow companies selling original full RPG rules to enter… and the publication of Argor FRPG means we qualify for the first time ever! The sale ends on Sunday 11th January. Oh and Happy New Year, by the way! Wow, our newest release, How to Create Great Fantasy Maps (Even if You Can’t Draw), is proving somewhat popular, attaining Copper Best Seller status at drivethrurpg.com within three days of being released! 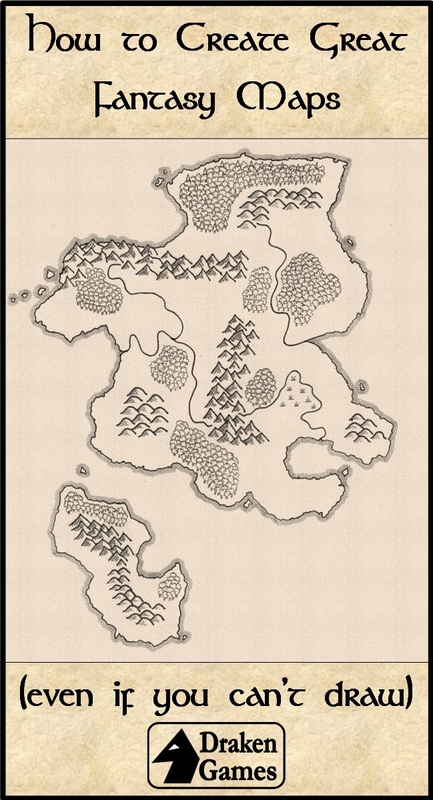 If you want to know how to add attractive, Tolkienesque maps to your fantasy RPG resources, why not check it out?